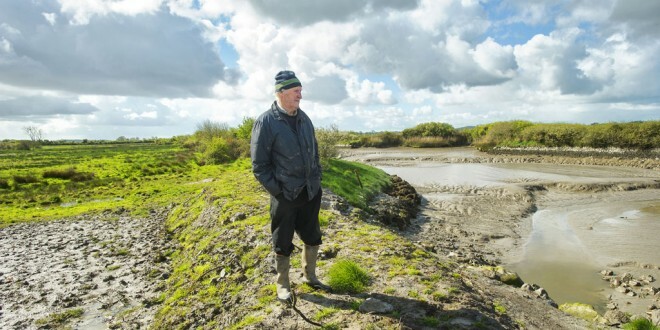 A Ballynacally farmer has expressed his frustration at the lack of progress in repairing the Shannon Estuary banks along 30 acres of his land in Lisheen. Vincent O’Shea, who farms up to 120 acres, has been unable to cut silage on the affected land and has had to sell 30 cows. The land was badly flooded more than 12 months ago and he says that no progress has been made in the interim with regard to alleviating the problem. Two neighbouring farmers, John Slattery and Seán Carrig, are similarly affected. “The two sluices went in January of 2014. There is no one coming near us. They are saying they are doing this and doing that. Pat Breen (TD) reckons the council have the money but you ring the council and they say they have no more there for this. They have money for the tourists going to Lahinch and Kilkee but that’s no good to me. I can’t do any silage or anything this year. I couldn’t do it last year either. I also got rid of all the cows last year. I had to. I had 30 suckers. I have 14 dry stock now. There is the best part of 30 acres flooded on me. I can’t do anything with it until the banks are done permanently. Oliver Garry has a temporary job done on them,” Mr O’Shea, whose family home is located in Ballycorick, explained. Agriculture Minister Simon Coveney visited Kildysart last year, while Minister of State Simon Harris has also visited Clare to look at flooding issues affecting farmers. “They haven’t been here. They had bits of meetings back in Kildysart. 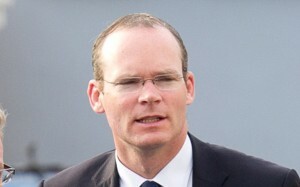 Simon Coveney’s photo was in the paper but he hasn’t come near here since. This was all publicity for him. What brought him down from Dublin and then end of story? What did it cost to bring him down? It’s up in a heap. We’re getting no hearing from anyone. We’re told the money isn’t there and the money is there but nobody has ever come and told us anything. It’s a case of either fixing it or letting it out to the sea. In England, they dredged the land that was flooded and it’s all done now. There was none of that here. Everything I have is bought. I came home from England in 1984. 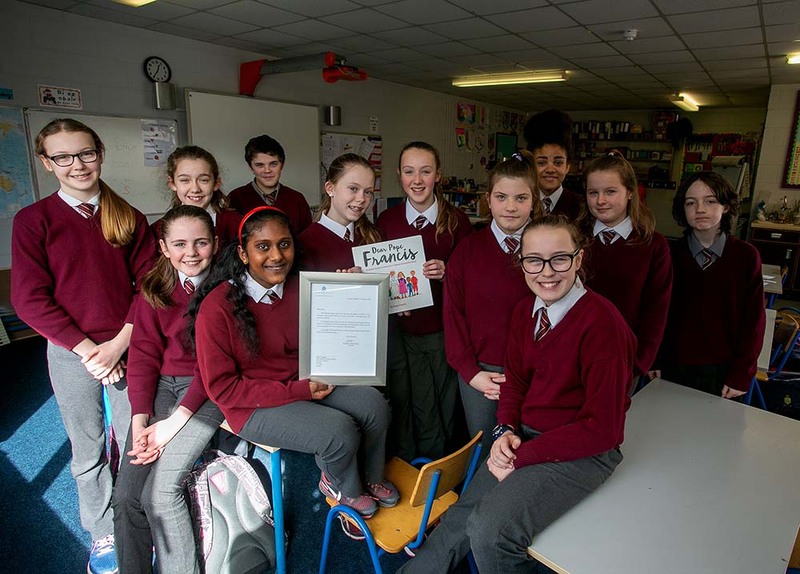 I was there for nearly 30 years,” Mr O’Shea revealed, his frustration clearly rising.